All credit goes to CD Project RED for allowing me to make this mod possible, thank you. Hightened the audio for a couple songs that were a little too low for my liking. Fixes "tw3mo_explore_night_01", from just cutting off near the end of the song. Now it will fade out for a smoother transition. Heightened the audio for a couple tracks that was a little too quiet for my liking. Added my own custom ActorTypes to all necessary races, so when entering combat, it plays the correct music for that specific enemy type. Lowered the Explore volume by 20%, by means to match the original Skyrim music for when I release the AIO Version. When entering near "Castle Dour", "Blue Palace", or "Palace of The Kings", it will no longer play the specified Witcher 3 tracks. Instead it will just play the Town music specifically designed for that Town you're in. Replaced Skyrim's "mus_special_cartintro_01" song, so when starting a new game, you will no longer hear Skyrim's cart intro song. Replaced Skyrim's "mus_intro" song, so when after completing Helgan, you will no longer hear Skyrim's intro song. Forgot to select "tw3mo_town_dusk_and_night_01" to play while in Towns, except for Riften. Added Witcher 3 song for when inside the Temple of Mara, and Dibella, and Devines. 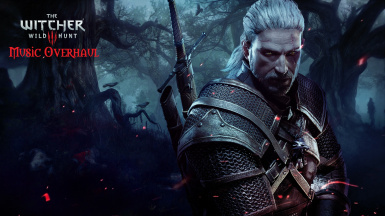 I do NOT own any of the audio used in this mod, all credit goes to CD Projekt RED, well known for their famous franchise, The Witcher video game series. I've sought the permission from CD Projekt RED, and they had given me it, just as stated above, so long as I follow the rules, and don't use their soundtracks/content for financial purposes, and so long as I don't act as though they are partnered with me. Permission slip in the photo gallery! The music is actually 100% lore-friendly, and fitting to TES universe, well, the mass majority of the tracks are... and especially if you're doing a Witcher playstyle. I did this for myself originally, and thought I'd share it considering I did a very good job piecing things together. I had to make many edits to some of CD Projekt RED's original tracks in order to piece them perfectly in the game, and also to cut overlapping. My music mod is by the far best one out there.